This is from one of three collectible card sets that I recently worked on for Breygent. The theme for this set was classic cartoon characters. Some of the characters included: Felix The Cat, Casper The Friendly Ghost, Heckle and Jeckle, Bettie Boop and others. This set will be released in 2010. 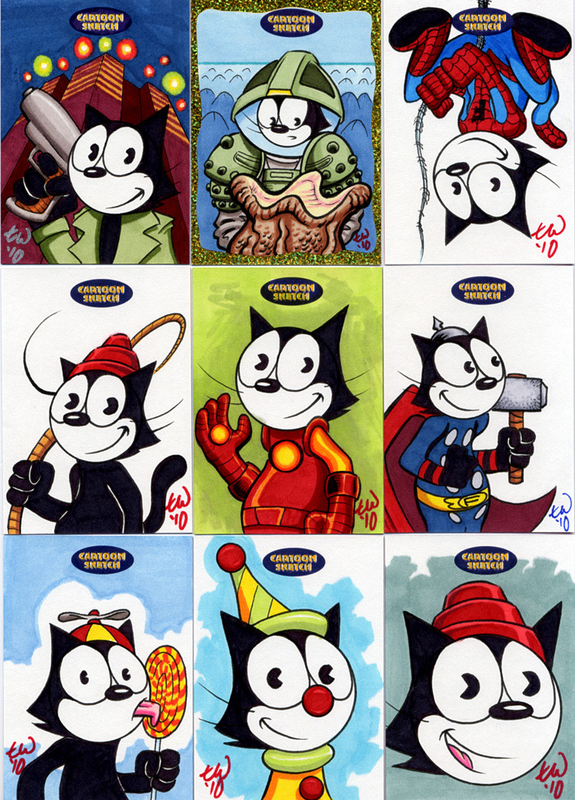 I have also been asked to produce a set of oversized Cartoon cards that will be used as exclusives at the 2010 San Diego Comic-Con International.